Although a keyboard and mouse are tried-and-true DAW-control devices, they’re far more effective when used in tandem with the FaderPort™ 8’s precise tactile control over mix and automation functions. 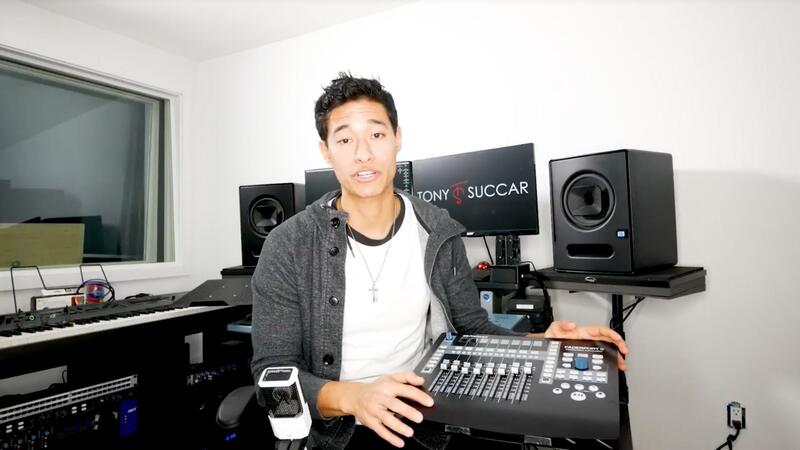 With 8 touch-sensitive, motorized, 100 mm faders and 65 buttons covering 78 different functions, you can quickly zoom in on audio files for editing, adjust your click-track tempo with a simple tap, modify plug-in parameters, manage aux mixes—and, of course, control track levels with the touch of a finger. With the FaderPort 8, you’ll enjoy the fastest, most efficient workflow you’ve ever experienced. Rather than forcing you to revise your mixing method, the FaderPort 8 augments the way you currently mix. You still use your faithful keyboard and mouse for things they do well, and the FaderPort 8 handles the features you want to get your fingers on, allowing you to customize your workflow. Large, illuminated buttons make finding the function you need quick and easy. Eight digital scribble strips provide visual feedback. And if you select a track with your mouse, the FaderPort 8 will follow your selection, giving you yet another way to get to the function you need, right when you need it. This is DAW control the way you always hoped it could be! 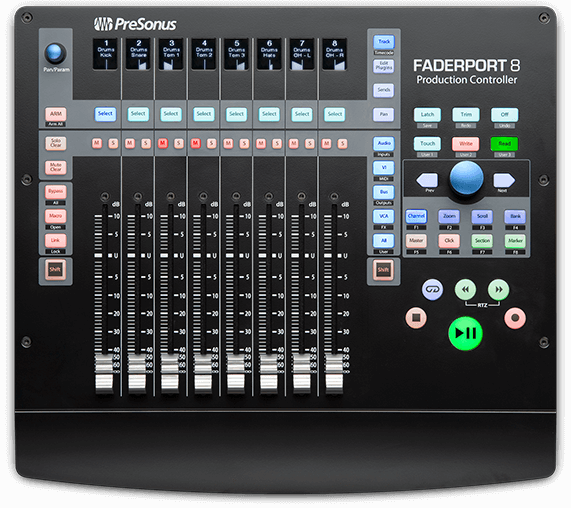 The FaderPort 8's unique Session Navigator provides easy access to eight mission-critical functions for maximum flexibility. Use the large encoder button and companion buttons to edit and mix with greater efficiency and speed. Scroll through your timeline, using the encoder, or work measure by measure with the arrow buttons; zoom in and out on the timeline with the encoder and make your tracks larger or smaller with the arrow buttons; navigate and drop markers; and maintain constant control of your main level. Once you start using the Session Navigator, you’ll wonder how you mixed without it. Learn how Session Navigator contributes to a blazing-fast workflow. Zoom in and out to make edits using the encoder. 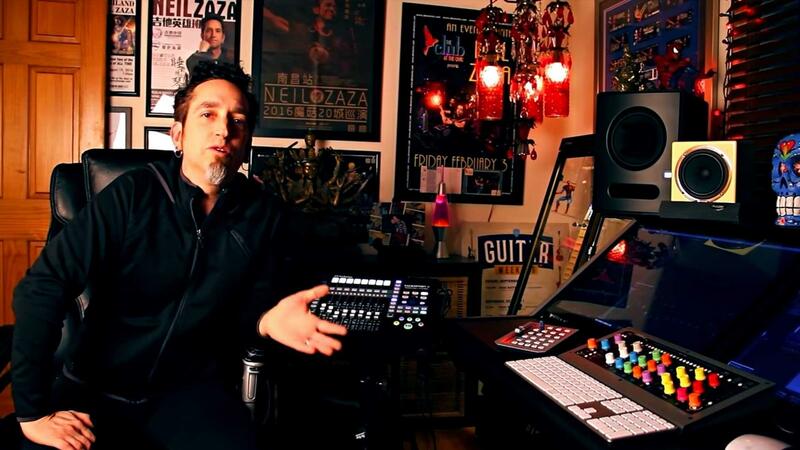 Need to make your tracks bigger or smaller? Tap the arrow buttons! Learn about FaderPort 8’s tight integration with Studio One. 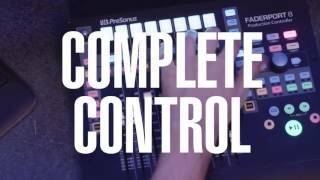 If you’re looking for a control surface to improve your tracking and mixing workflow without breaking the bank, this should be high on your list. The PreSonus FaderPort 8 Production Controller is nothing less than very exceptional and of the highest quality. This is a great unit that feels at home on any desktop, no matter what computer setup you are running. There’s no doubt about the increased productivity achieved with FP 8. Using the faders to write aux send and plug-in automation is a beautiful thing. The more you use it, the more you'll love it. It allows the session to flow much smoother, especially when recording yourself, which I did a lot. Die absolut unkomplizierte Bedienung und Automation von Parametern virtueller Instrumente per Fader ist nur eines von vielen Details, die den Faderport aus meiner Sicht zu einem Must-have für Studio One User macht. The superb 100mm ALPS motor faders do their job almost silently and virtually without delay. The PreSonus FaderPort 8 is leading the charge of brands that seek to bring truly “flying” faders to the hands of the everyman audio engineer.